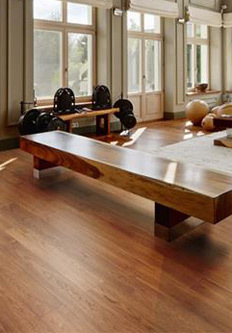 Alexanian Carpet & Flooring is committed to excellence in serving all customers including people with disabilities. We will ensure that our staff are trained and familiar with customers using various assistive devices. Our staff will communicate with people with disabilities in ways that take into account their disability. We welcome people with disabilities and their service animals. A person with a disability who is accompanied by a support person will be welcomed into our premises. Alexanian Carpet & Flooring will provide accessible customer service training to employees who deal with the public. Staff will be trained on Accessible Customer Service within 3 months after being hired. Some of our locations may not be wheelchair accessible. Alexanian Carpet & Flooring provides a Shop-at-Home service to accommodate any one who would like to take advantage of this service. After a brief phone consultation with one of our sales associates, we will come by your home with appropriate product samples. 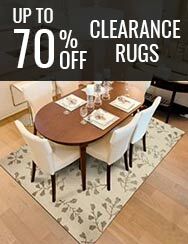 Our online store can also be used to shop for and purchase area rugs and have them delivered to your door. Shop-at-Home service is provided for most of Southern Ontario and Ottawa areas, including: Hamilton, Burlington, London, Ottawa, Mississauga, Newmarket, Toronto, Guelph, Kitchener, Kanata, Nepean, Brantford, St. Catharines, and Whitby. Call 1-866-878-2525. Customers who wish to provide feedback on the way Alexanian Carpet & Flooring provides goods and services to people with disabilities can provide feedback through email contact@alexanian.com, Toll free 1-866-878-2525 Monday-Friday 9-5 EST, or by mail to: Alexanian Carpet & Flooring 601 Main St. West, Hamilton, ON, L8P 1K9.